Most people mistakenly think of honey bees as the yellow and black bees from “Winnie the Pooh”. This is untrue. Honey bees are actually more of a golden brown, with fine fuzz covering the body (perfect for collecting pollen). They can vary in length, but generally are 3/8″ to 1/2″ in length. Honey bees nest in cavities, such as hollowed out tree trunks (or in beekeepers’ boxes). The big issue is when they decide to nest in a void in your house. 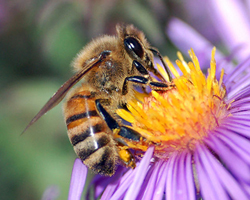 In contrast to yellow jackets, honey bees are relatively gentle (with the exception of Africanized honey bees, which are not found in Southeast Wisconsin). Bees will usually sting only if stepped on or swatted, while out foraging among flowers for nectar and pollen. If you approach their nest, they’ll defend it but only within the immediate area. They won’t chase you hundreds of yards like yellow jackets. A honeybee can sting only once. When it stings, its barbed stinger and the attached venom sac are ripped from its body, killing it. Spring is honey bee swarm season! You may see swarms at other times as well but the peak swarm season is spring. A honey bee swarm is an awe-inspiring sight with thousands of bees filling the air with loud buzzing. Slowly they gather around their queen on a tree limb or other object, usually described as a “large ball of bees”. Honey bee swarms create a new honey bee colony. When bees swarm, half of the colony leaves home with their queen to start a new hive. The remaining bees in the old colony will produce a new queen. The swarm typically will move on within 24 hours. At this point in the process, beekeepers are happy to relocate them for you, usually at no charge. 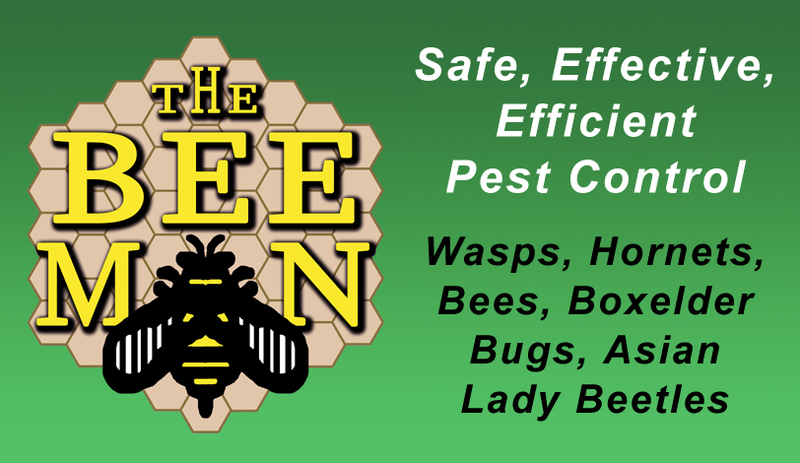 Contact us for more information regarding local beekeepers. 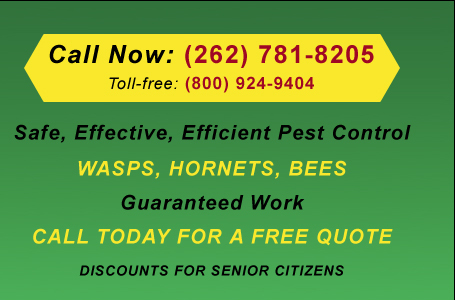 Once honey bees have taken up residence in your home or on your property, in an area where they will come into direct contact with people, they may need to be eradicated. However, if you exterminate them when their nest is filled with honey, you may suffer damage to your home from the honey. It may also attract other pests. The best time to rid your house of honeybees is in the spring. Honey bees live off stored honey and pollen all winter, so by spring they have consumed most of their stores. We are never fond of exterminating honey bees because of the vital role they play in pollinating crops and production of honey. However, when they invade your home, options are very limited. Contact our office for more information.